I have failed one of my New Years’ Resolutions! Shock horror, who cares? And does it really matter? Whether you set New Years’ Resolutions or think it’s just a waste of time some people, including myself find them useful. In fact each year I do a mini life audit to get clarity and sense of purpose for the next year. This year I decided to start some form of physical activity after a long spell of inactivity and weight gain and decided on something quite gentle to begin with – Yoga. I know it works for many. I was spurred on with a free online video programme for 20 minutes yoga for 21 days. 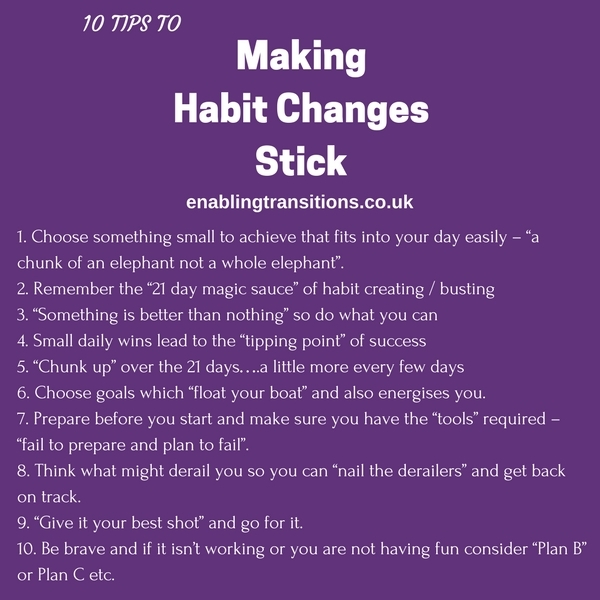 21 days is the habit sticking amount of time that is recommended to break a bad habit or create a new pattern of behaviour so that appealed to me. Also 20 minutes a day was a small amount I thought I could fit into my busy life. So another tick! So how did I only manage to do Day 1 and Day 2? I failed and I failed quickly. Why? So why did I fail by day 2? Especially since many on the programme are having great success? First I wasn’t prepared. I didn’t have a mat and blocks for starters. And I hadn’t really thought about when I would commit the 20 minutes during the day. The videos being accessible based on morning time in New York and not morning time in Preston, Lancashire for example. So I was ready for action on Day 1 9am in Preston but the video wasn’t available until later. Being bored quickly and impatient. Yoga is a slow and purposeful practice. The need to do the moves correctly and my fear of not being able to, and being conscious of my lack of fitness. No fun element – very serious. So I failed not because of the beautiful and wonderful 21 day programme but because of myself and choosing the wrong New Years’ Resolution for me. 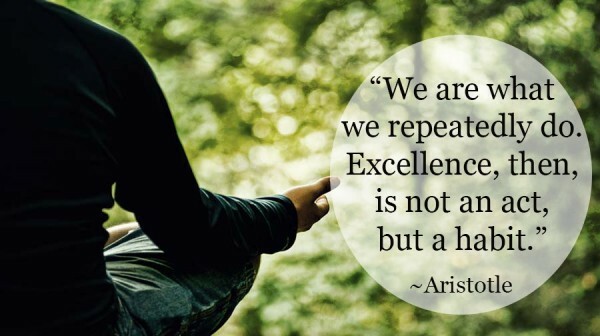 So what makes a habit change work? So I did bail out of my original goal and I did feel a bit of a failure. Thankfully I didn’t let this go to heart too long. I found Plan B….something different and much more me! Dancing to pop music with The Fitness Marshall. Yay! I can do this. I can dance along to one tune for 5 minutes or many and have fun. Take a look at one of my favourite songs and routines. At the moment just 1 or 2 tunes are enough for me, however I feel like I am achieving. I don’t know all the moves and sometimes I just do my own moves however I’m moving! 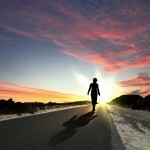 Time to Reflect: Have you wanted to change but failed and lost motivation or confidence? Spend some time considering why your objective, goal or New Years’ Resolution didn’t work. Now set yourself a new challenge for change using some of my tips. Let me know how you get on and if you need a motivational nudge I can coach you to success. Print article This entry was posted by Denise on January 19, 2017 at 1:10 am, and is filed under Personal Development. Follow any responses to this post through RSS 2.0. Both comments and pings are currently closed.